Speed Demos Archive and Speed Runs Live team up once again to bring you another charity marathon with Summer Games Done Quick, featuring several games that will be finished in the shortest time possible, live and in front of thousands of viewers over the internet in order to raise money for Doctors Without Borders. The event lasts for five days, until the 30th, which includes games like Sonic the Hedgehog on Mega Drive and Master System, Ecco: The Tides of Time and more during the period. Earlier this year they also held Awesome Games Done Quick 2013 which has helped to raise over $448,000 for the Prevent Cancer Foundation, and they’re looking to repeat that success again with an initial goal of $50,000. The event also gives donors several benefits as well, donations affect bidding decisions on games and provides chances to win several prizes. The event is currently underway! You can check out the stream on the Speed Demos Archive page or through the Twitch channel. Keeping in line with that leaked document last year that detailed plans to bring Dreamcast titles to Sony’s PlayStation Network service, an ESRB filing shows that Sonic Adventure will also be making its way to the PlayStation 3. The Xbox 360 is also listed, though its existence has been known about (unofficially) for quite a while. Sega has yet to officially reveal the titles arriving on the two services. 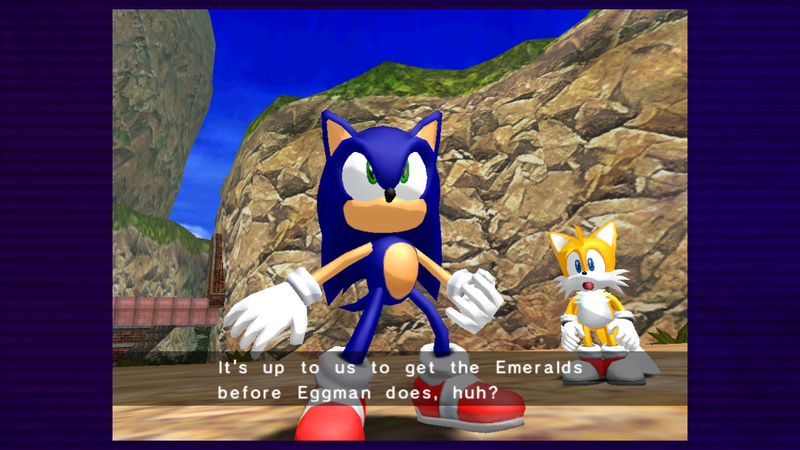 While the 360 version is based off the PC port of Sonic Adventure DX, it’s unknown if the PS3 version will be the same, though extremely likely. However, the rating lists entries for both versions of the game. What’s your take? Will you be picking this up if the price is right or has the title aged unfavorably for you?